As anyone who bakes or cooks knows, it’s essential to have a few of what I call “secret weapons” in your recipe file. You know what I mean – that staple recipe, that “go to” that you rely on time and time again. For me, it’s one that can be put together quickly, with easily procured ingredients (ideally available year round). A good “secret weapon” should be versatile too, with several possible uses. Some examples of my favorite “S.W.”‘s are: a basic tomato sauce, homemade pancake/waffle mix, pesto, chocolate ganache, and this – a mixed berry compote. 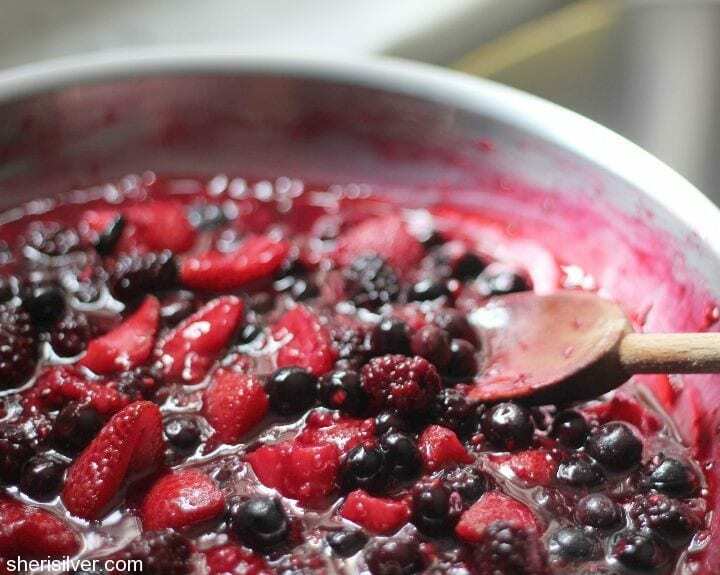 Not only is this compote’s jewel tones bright and cheery (especially welcome right now as we wait out Irene) but it is quick, easy and delicious. 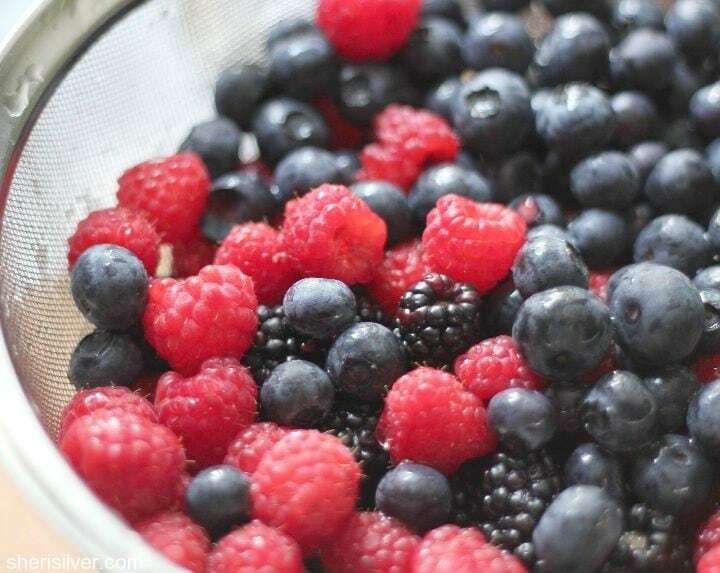 It can be made with any combination of berries you have on hand and works as well with frozen fruit as it does with fresh – so you can make it all year long. If you’ve been overzealous at the farmer’s market recently this is a great way to use up that leftover fruit. Best of all, it keeps well – up to 2 weeks in an airtight container in your fridge – so you can prepare it in advance and have it at the ready. And uses? 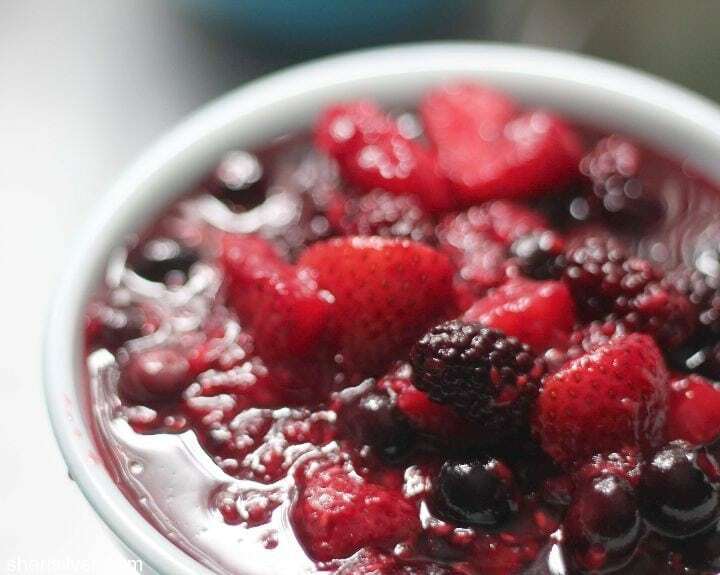 There is almost nothing this compote does not enhance the flavor of or complement beautifully – try it on pancakes, waffles and French toast. Layer it in yogurt-granola parfaits. And it’s heavenly mixed with ice cream or frozen yogurt. 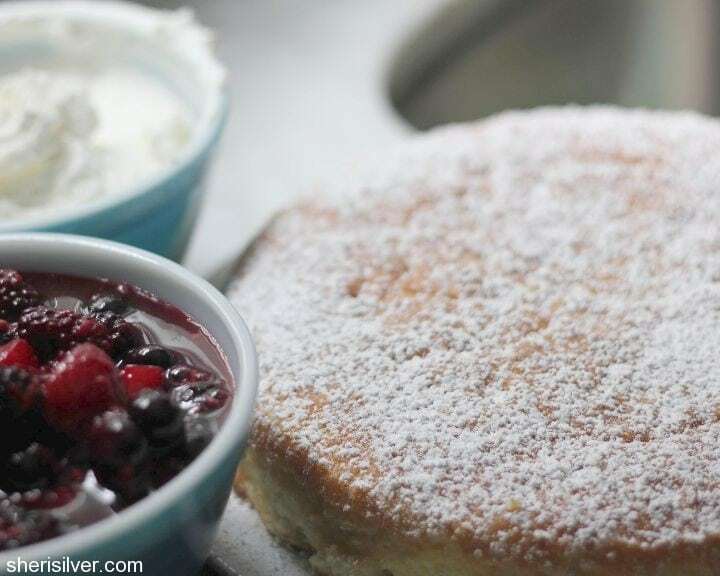 It also makes a great twist on your ordinary strawberry shortcake. I paired it recently with some freshly whipped cream and this cake – always a hit. Any “secret weapons” that you have? Please share! Combine all ingredients in a large skillet; toss to blend and let stand 15 minutes. 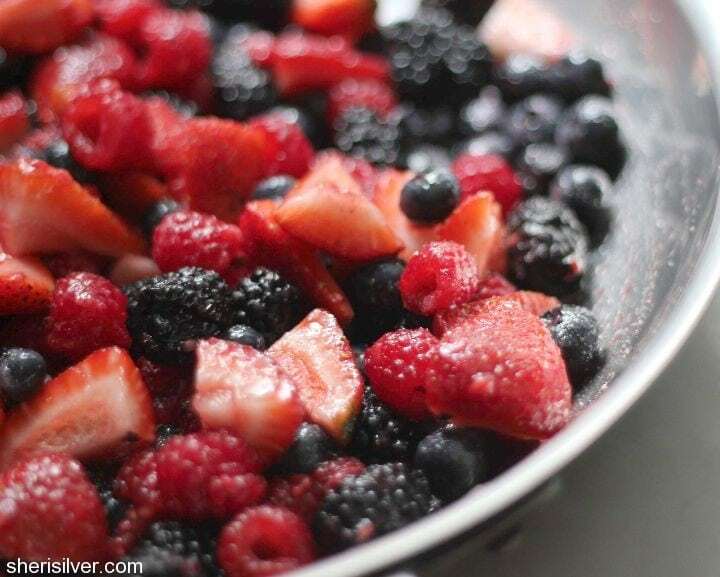 Place skillet over medium heat and stir gently until sugar dissolves, a light syrup forms and berries soften slightly, about 5 minutes. Serve warm or chilled. Could you use a bag of frozen mixed berries? I use it on top of a white cake then top with whipped cream or cool whip (add 1/4 teas. Vanilla . Perfect – still one of my favorite recipes! Great on homemade yogurt…I’ve made this twice now…also used it on an instapot New York cheesecake that I made…ty! How long does it lasts refrigerated? Up to 2 weeks in the fridge!